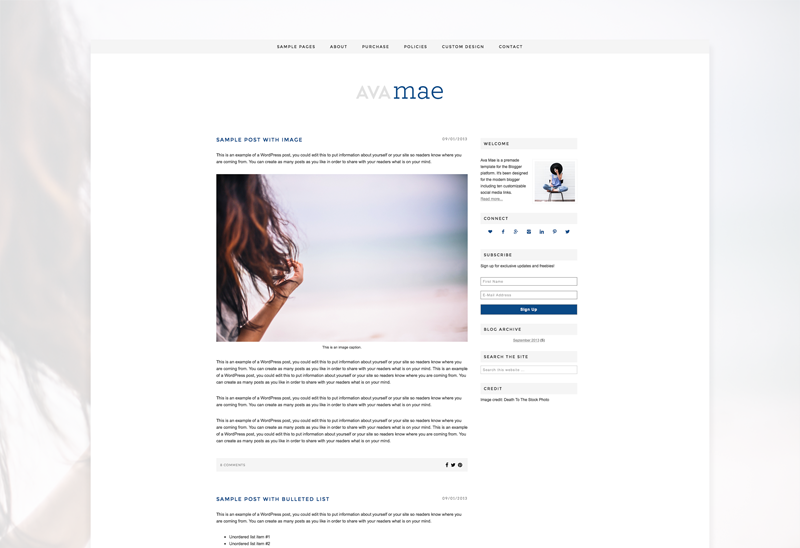 Ava Mae is a feminine and simple blog template created for the WordPress platform. 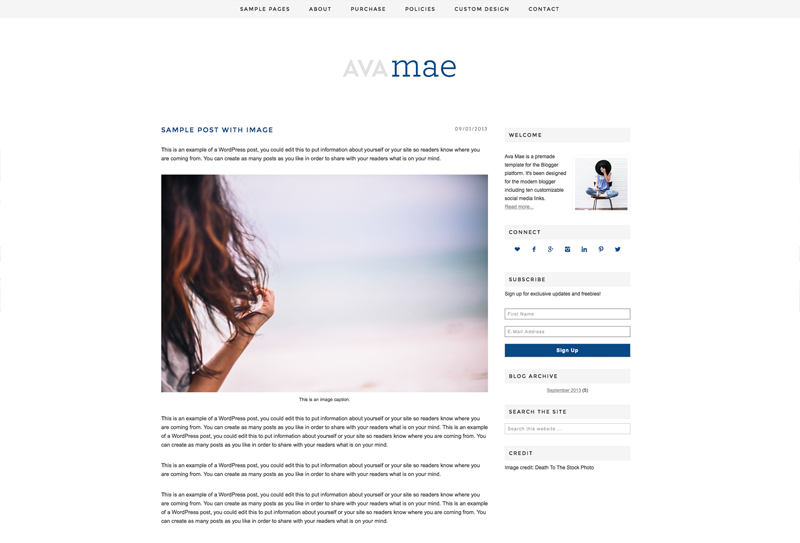 The header and blog design features gray and navy colors. 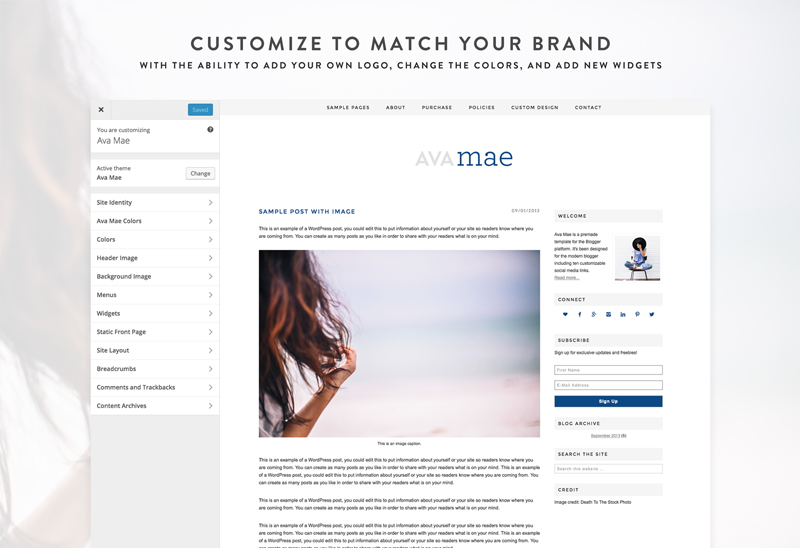 Ava Mae is the perfect template for the new blogger looking to get an upgraded look on a budget. Once installed, you will be able to change the main colors used throughout the blog with a couple of clicks. Pages, sidebar widgets, and links can be added, deleted and re-ordered at any time. Coded Creative was exactly what I was looking for and didn't even know it! Being a new freelance writer and lifestyle blogger I was overwhelmed trying to figure out ALL THE THINGS. Stumbling across Coded Creative was a stroke of good luck. She provides wonderful customer service and truly cares about helping to make your site a success. 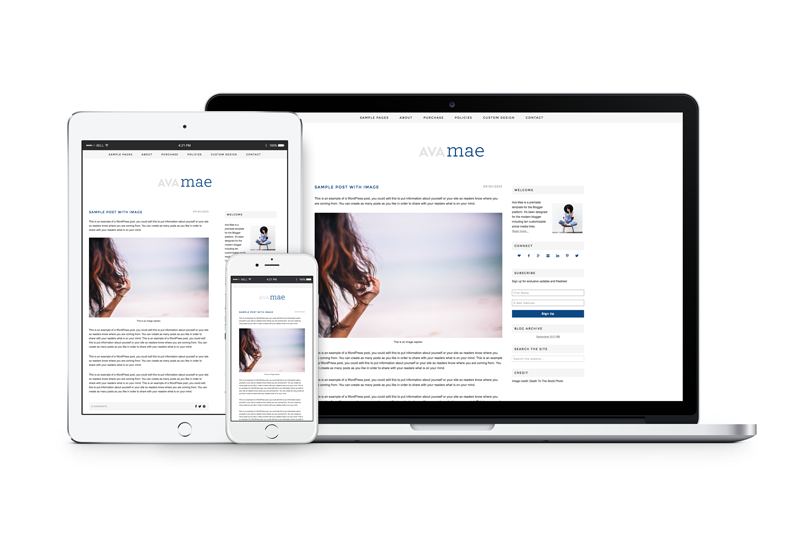 The look and feel of my site appears custom, yet was affordable. When the time is right I look forward to purchasing more themes and services through Coded Creative. 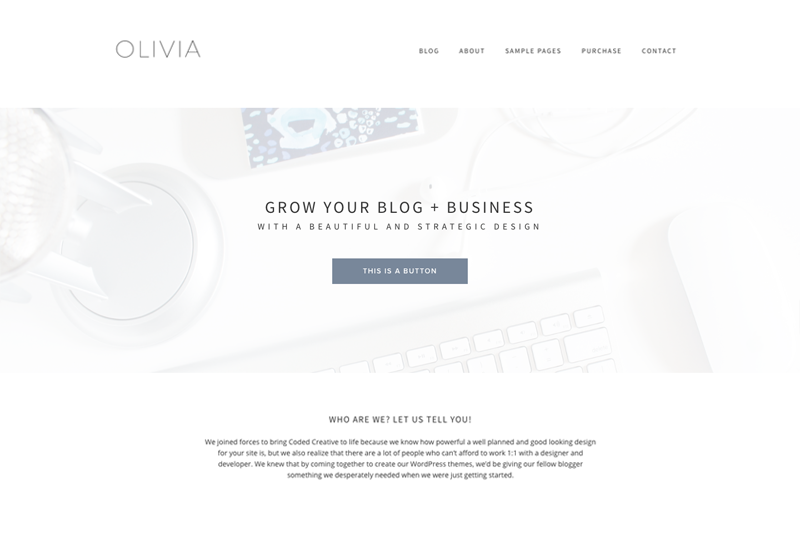 I highly recommend working with her to anyone looking for an individualized website theme or logo. 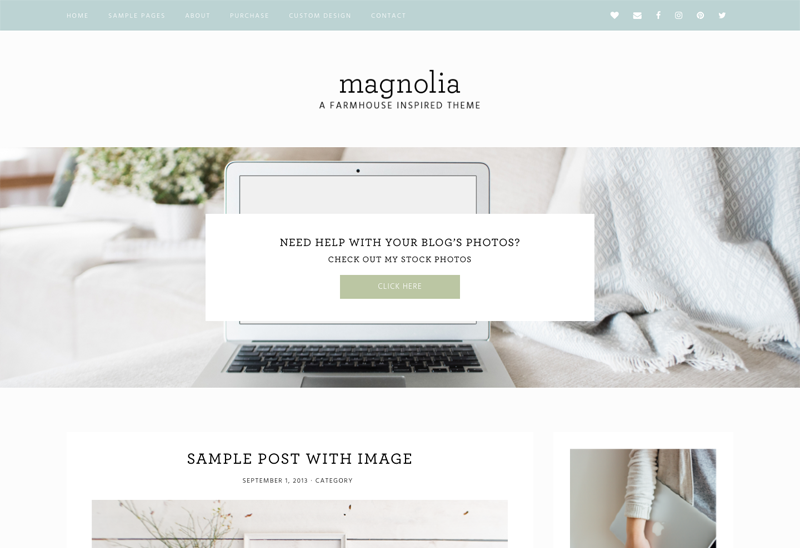 As the author of Blog Design for Dummies, I'm super picky about choosing a great WordPress theme. 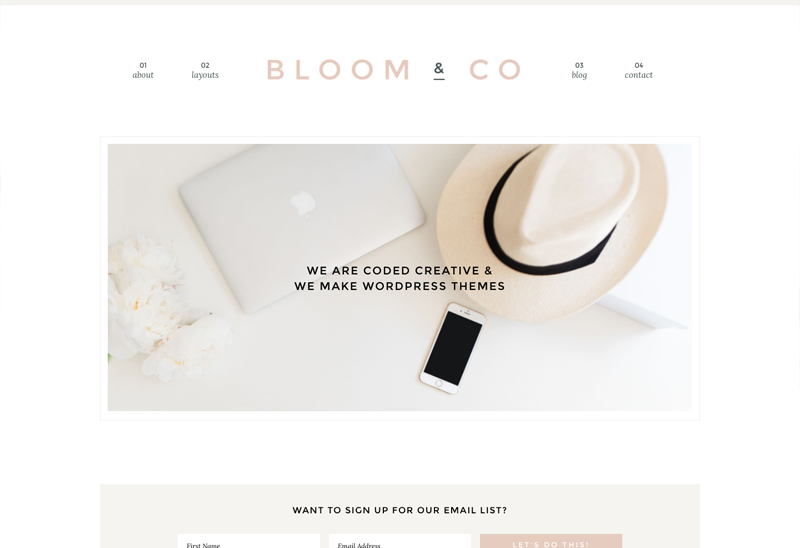 After lots of searching, I stumbled across Coded Creative, and it was love at first click. 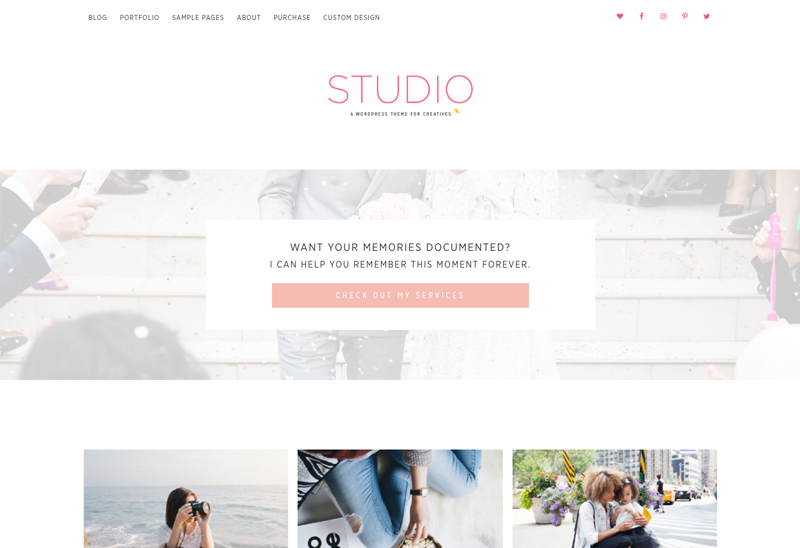 Not only are the designs modern and clean, they also have a simple user interface, which is important for website visitors landing on your site.